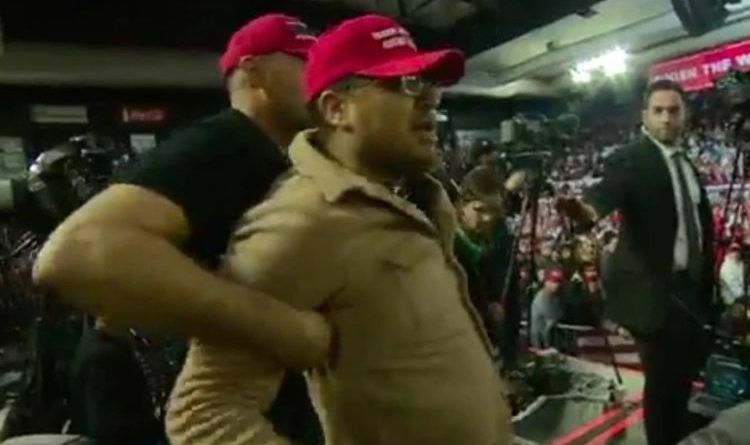 Monday night at the Trump border rally in El Paso, Texas an unhinged man in a Trump MAGA hat rushed the media platform. A man wearing a red “Make America Great Again” hat repeatedly yelling “f–k the media” as he restrained by another man, who appears to be wearing an identical hat. Members of the crowd can then he heard yelling “get him out” as the man is escorted from the scene. The man was eventually removed by security, and the cameraman is fine! James O’Keefe revealed this tactic in an undercover investigation. Is it fair to ask for more information on this man before we conclude that he is a Trump supporter? Can we at least ask for the name of the violent protester? Let’s share this and reveal this guy identity and expose the real truth! ← Trump’s Approval Rating Rises And The Mainstream Media Will Not Like These Numbers!